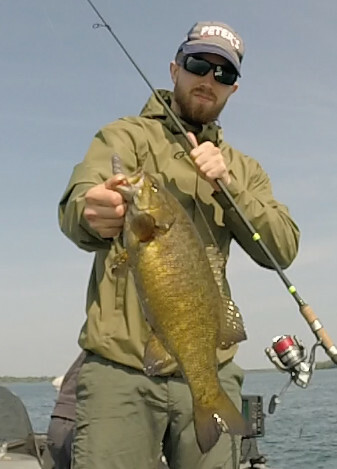 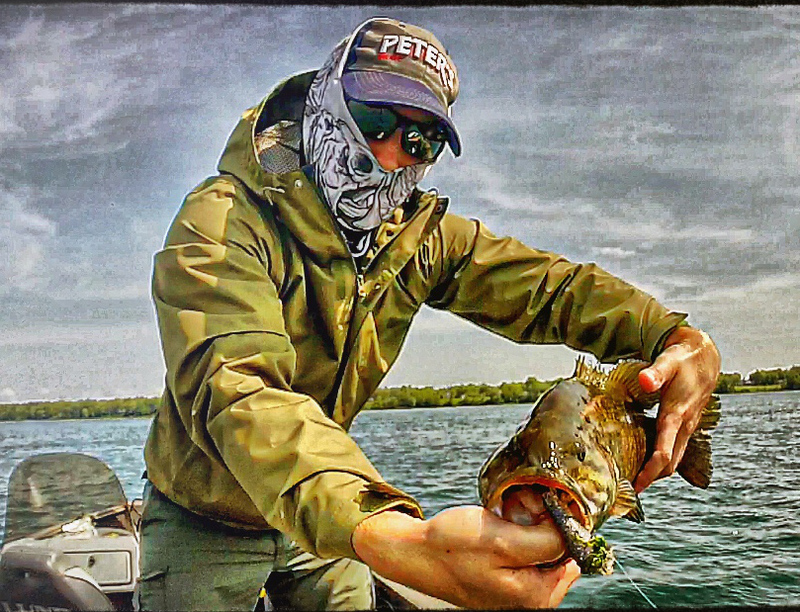 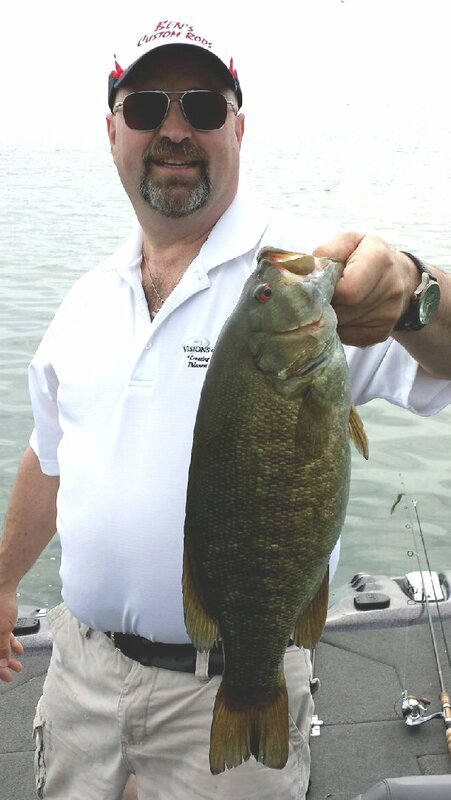 Tom Billings comes up for a fun trip this weekend and in spite of some high winds and boat chop manages to put together a livewell full of smallmouth at 4 1/2 lbs. 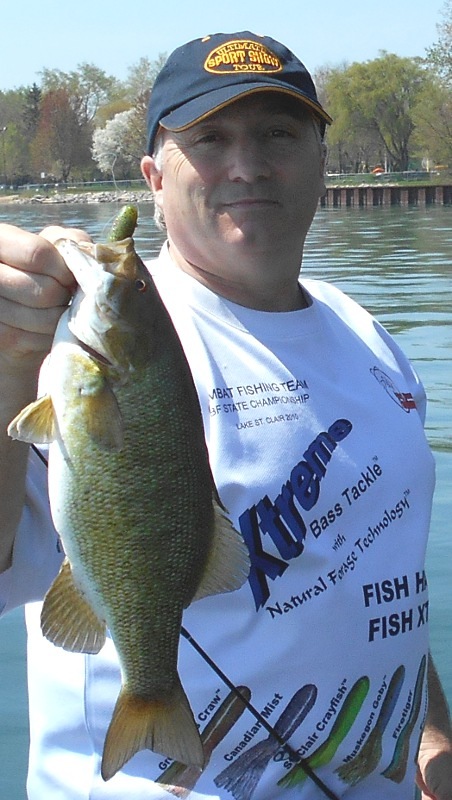 or better all caught on the Xtreme Bass Tackle St. Clair Goby NFT drop-shot tube. 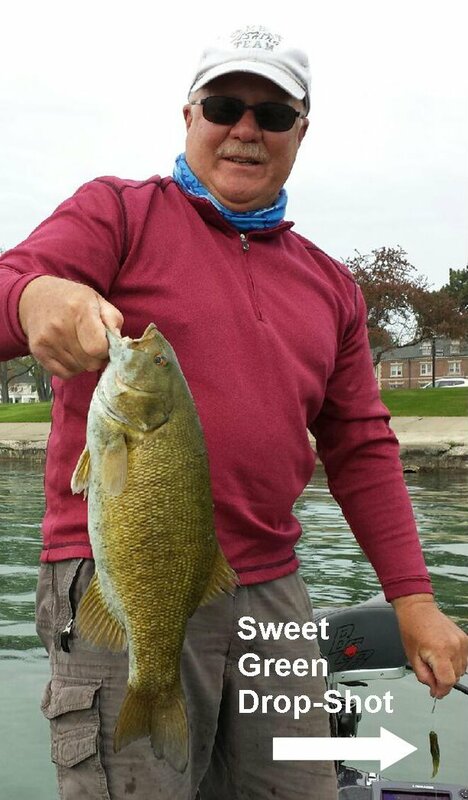 Although the river is your traditional pick for big fish this time of year he was able to get all of those bass in the Lake and on the U.S. side. 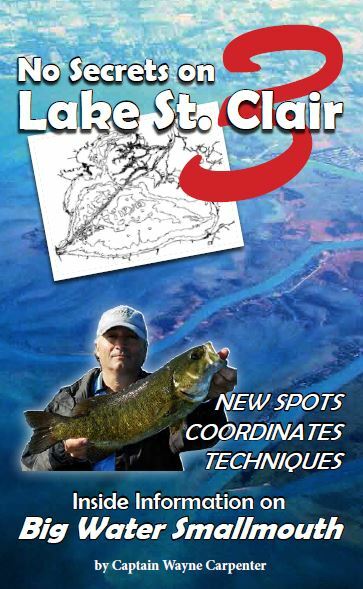 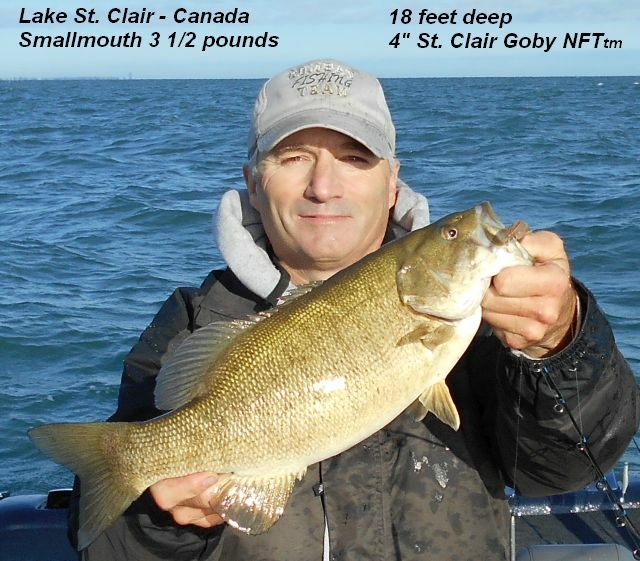 That’s good news for any bass angler who is coming to Lake St. Clair to compete, or just enjoy this fishery! 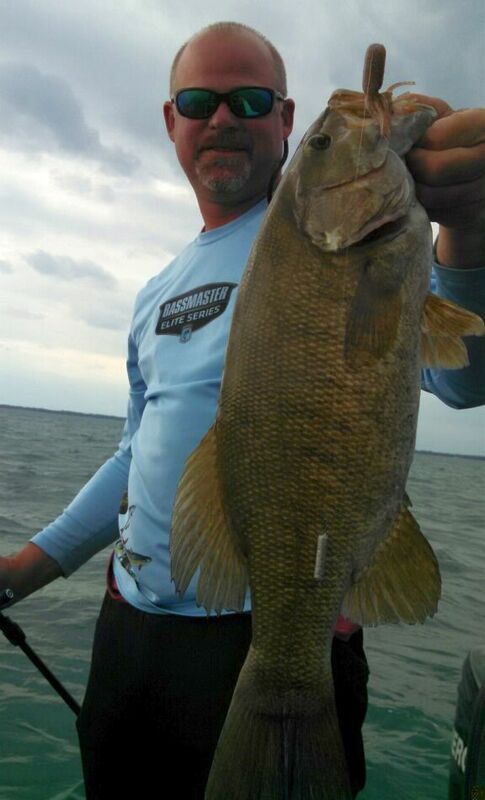 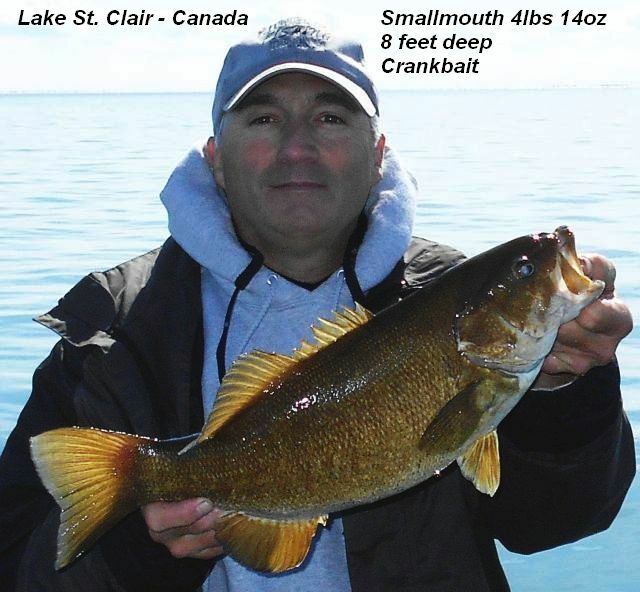 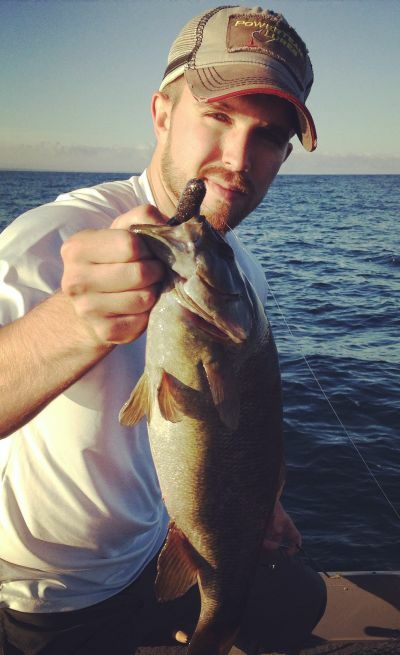 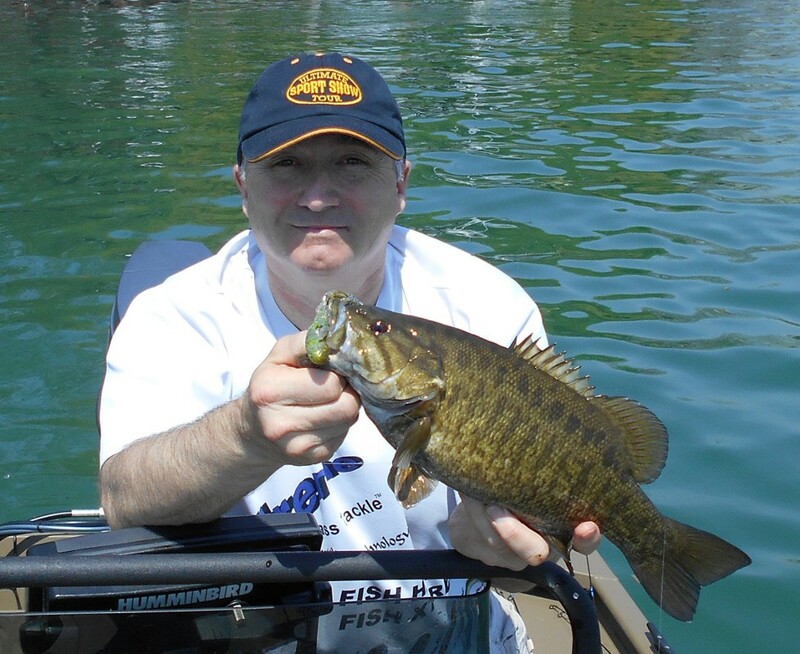 Day two of Tom’s trip on Lake St. Clair he continued to catch smallmouth but then hooked the biggest fish of his life. 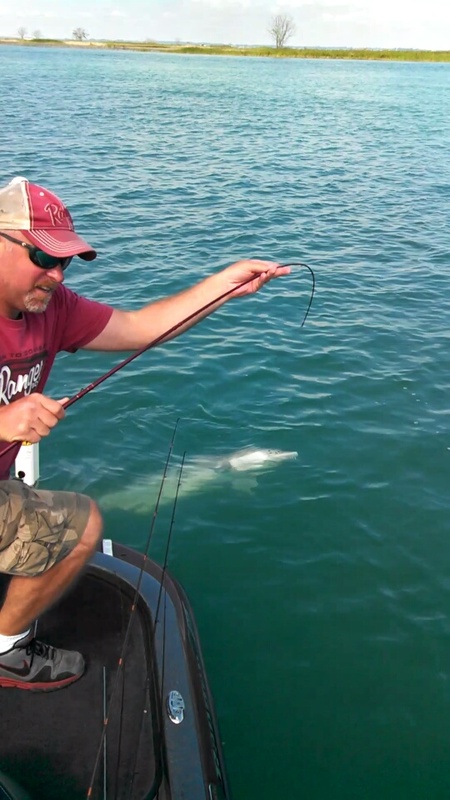 This Middle Channel sturgeon was estimated to be 6 ft. long and took one hour to bring up to the boat. 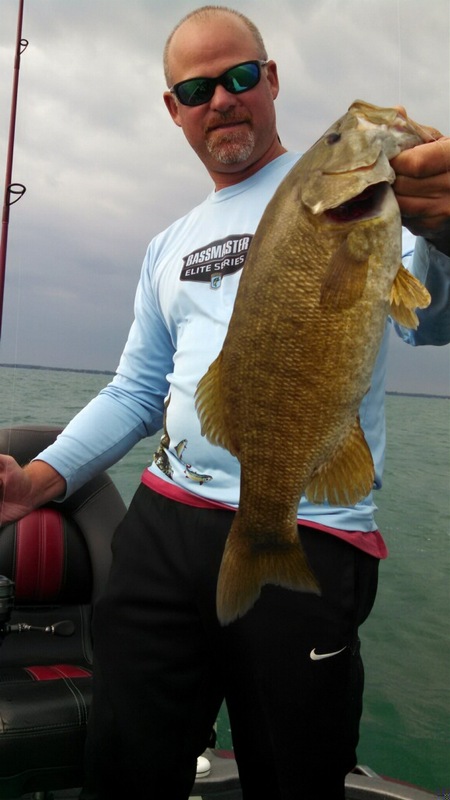 See video of the fight (not the whole hour of course) at Facebook (click on this link). 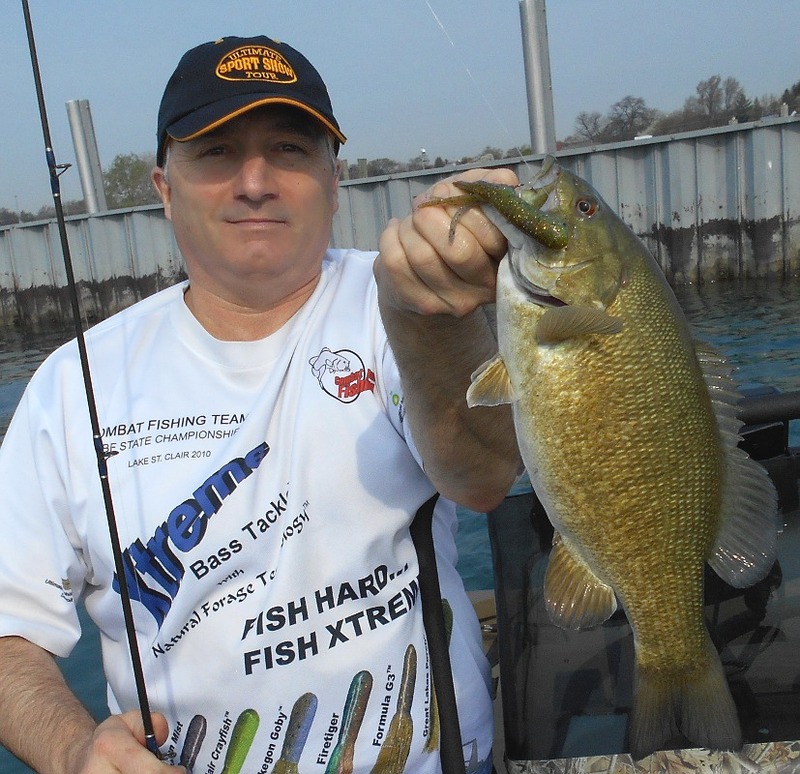 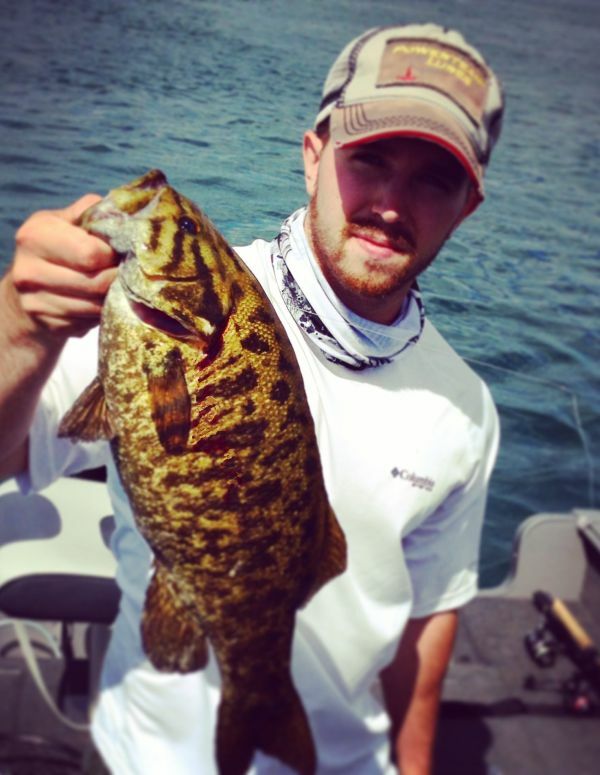 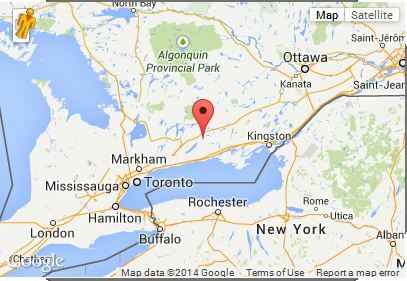 Xtreme Bass Tackle Grand Opening In Canada!